If you have set up mail app, or enabled cortana in windows 10, chances are that windows 10 will tag your user account with microsoft live account. A lot of user find it weird and prefer signing in with a local account username and password. 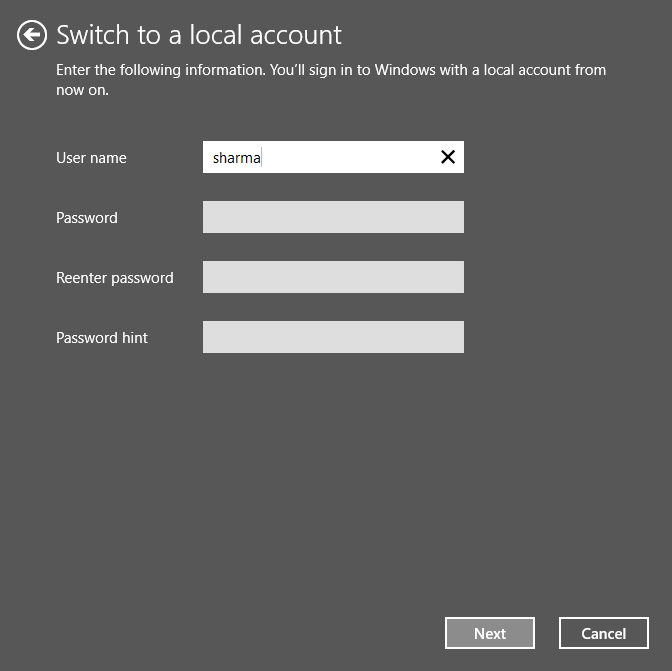 Here is how to reenable local account signin in windows 10. 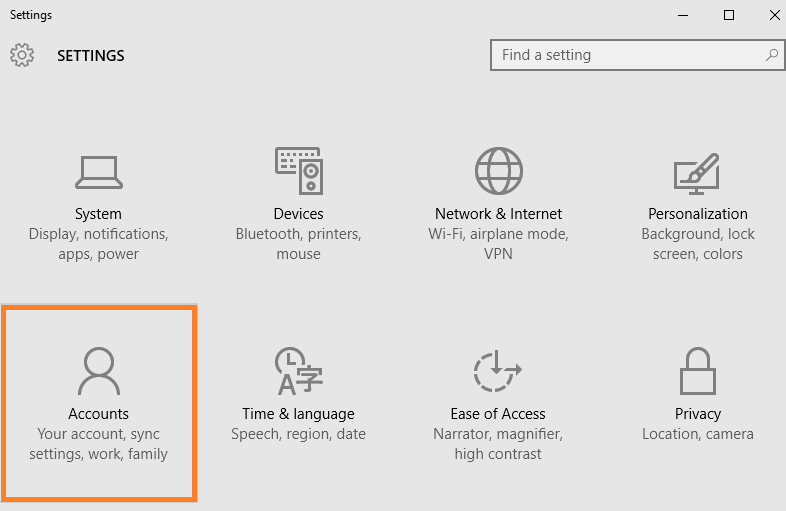 Step 1 – Press windows key + i to reach settings pane in windows 10. You can also click on start key and then click on settings to reach this window. Step 2 – Now, click on sign in with a local account instead located in the right side of the window. 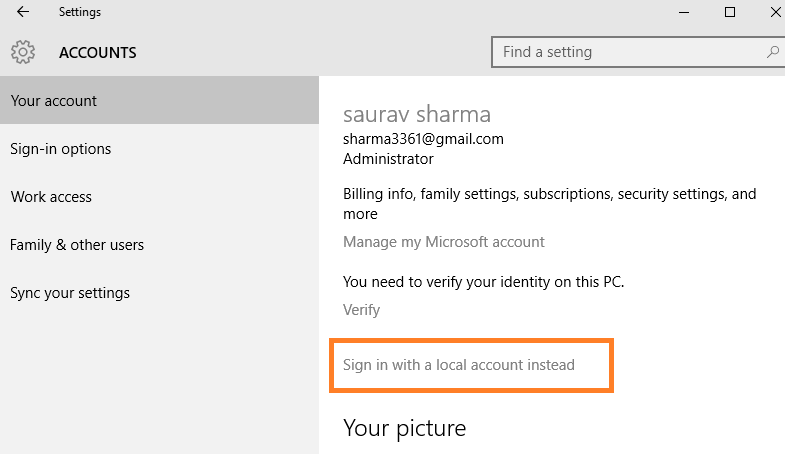 Step 3– Now, enter your microsoft live account password here. Step 4 – Now, set a password here and reenter to confirm. You can also provide a password hint to make it remember your password in case you forget it. That’s it. You are done. 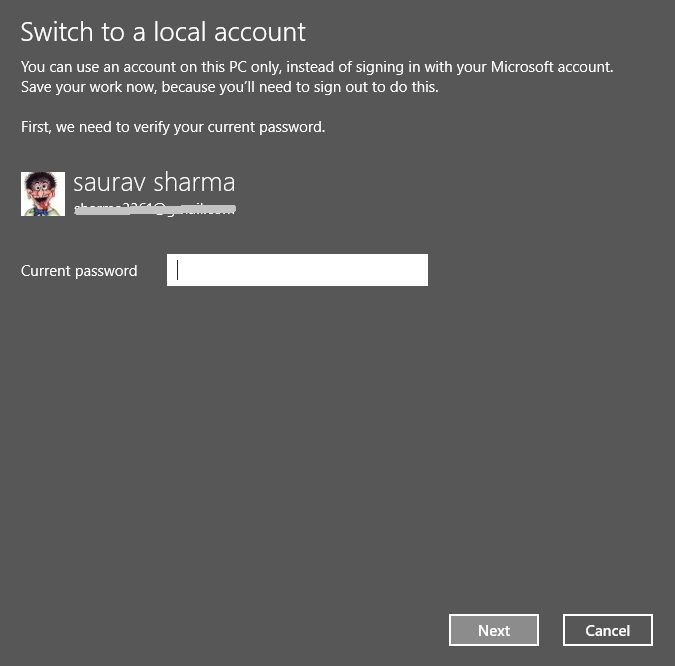 Now, reboot to check and you will be prompted for a local account password login in place of microsoft live account.